Capital One Investing unites ShareBuilders do-it-yourself digital platform with experienced financial advisors. Capital One plans to launch an advice center this fall. 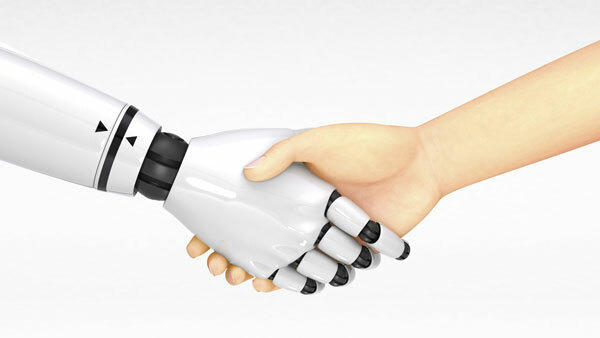 Robo meets human with Capital One’s just-announced Capital One Investing. Capital One Investing will merge Capital One ShareBuilder’s digital tools and accounts with Capital One Investing Services’ team of professional advisors. “Digital is transforming the investing experience. Whether a customer needs personalized guidance, or wants to invest independently online or by mobile device, Capital One Investing is committed to making solutions more accessible, more intuitive and more customized to our clients’ needs,” said Yvette Butler, president of Capital One Investing, in a statement. While much of the original ShareBuilder will stay the same — same prices, same accounts for previous ShareBuilder users, same online tools, same automatic investing plan — investing help will now be available through Capital One Investing. “Capital One Investing will bring together the best of our digital investing and professional guidance capabilities – delivering needs-based solutions designed to help customers invest more confidently,” Butler said in the statement. Capital One Investing plans to introduce a new “Advice Center,” which will officially launch this fall. For now, advisors are available at select Capital One Bank branches, but Capital One Investing will work to expand personal guidance across the U.S. This new team of advisors will “expand customer access to professional investment advice on a national level,” according to Capital One Investing. In addition to the physical component of advice, tools like PortfolioBuilder will still be available through Capital One Investing. This tool allows investors to build a diversified mix of exchange-traded funds based on individual goals and investing style, and allows customers to invest in the entire portfolio. The ShareBuilder name – which has been around for more than a decade and became a part of Capital One by early 2012 after the bank acquired it as part of its ING Direct USA acquisition — won’t entirely go away. The Automatic Investing Plan tool ahs been renamed the “ShareBuilder Investment Plan.” Except in name, this tool remains unchanged. Through this tool, clients have access to more than 7,000 stocks, mutual funds and ETFs, with the ability to schedule onetime or recurring investments (on Tuesdays) in any dollar amount they choose, exclusively online. Capital One Investing will also include RetireMyWay, a new simplified retirement planning calculator. The calculator will show an estimate of retirement income based on the user’s current investing approach. RetireMyWay will let customers see how basic adjustments to contribution amount and risk levels could impact a nest egg in the long term.